PORT CHESTER, NY, Feb. 12, 2014 – Life is good but we are faced with everyday challenges. Everyday life is a constant challenge: a student studying hard for his tests, the graduate student doing his best to finalize his thesis, and even a project manager double-checking his presentation to the board that afternoon. One must go through both the good and the challenging to be able to produce quality work and we all know this does not come easy. However, we are fortunate to live in a world where technology connects us with the great minds and hands who create solutions to improve our quality of life. Users believe in continuously searching for answers to questions, providing fixes to bugs and engendering success. In line with this, TranscriptionWing is proud to present its brainchild: ListenLink™ – a feature that’s all about innovation, efficiency and just a straight up timesaver. ListenLink™ makes it easier to review your documents without having to review the audio transcription again and again. In a nutshell, your file will contain hyperlinks and once you click on these hyperlinks, you get to listen to the corresponding audio instantly! No more rewinding or fast forwarding. The audio is just a quick click away. Talk about convenience! This is a standard feature in our general transcription services so each time you order a transcript, you can get this add-on, always. As they say, the best things in life are free! TranscriptionWing’s ListenLink™ feature makes the user a priority because of its great assistance in reports, materials, dissertations, interview transcription, market research studies and just almost any kind of document that a user needs and listens with audio transcription. TranscriptionWing customers have been giving positive feedback as it has really helped them manage their time and work much more effectively. With this feature, a user can see what one little click of a link can do and this is a must-try. TranscriptionWing also offers a variety of varied turnaround times at competitive prices. 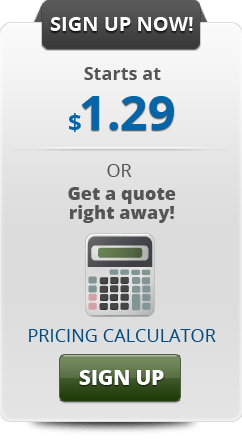 Rates start at $1.29/recorded minute with turnaround time as fast as 4-hours.